Of course, the best way to handle claim denials is to prevent them in the first place. That’s why this recent list of denial prevention strategies from Becker’s is something no denial manager should miss. We believe though that it has a problem. Boiling down denials to a list like this obscures the fact that some of these elements (and their corresponding solutions) are much more elemental to the denial prevention question in the first place. If we had to rebuild this list, it wouldn’t be a list at all and instead would position root cause determination as the foundation of denial prevention strategies. As the article admits, denials can pose a huge threat to complete and timely reimbursement. Change determined that about 9 percent of their claims (a value of $262 billion) were denied, impacting approximately 3.3 percent of net patient revenue — that boils down to $4.9 million per hospital…and that doesn’t even touch on appeal costs. We might celebrate the fact that 63 percent of denied claims are recovered on the first shot, but that process racks up a tab of $118 per claim, boiling down to $8.6 billion for U.S. hospitals overall. 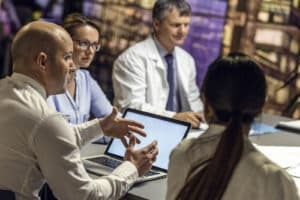 While we understand the importance of lists and condensing information, we do think there’s a better, more robust, and effective way to strategically address denial prevention and it’s something the Becker’s article hints at — that’s a data-focused approach to denials that analyzes and identifies denied claims trends by incorporating both clinical and revenue cycle data to reduce leakage and shorten accounts receivables. The best place to find that is Access Denials Intelligence.